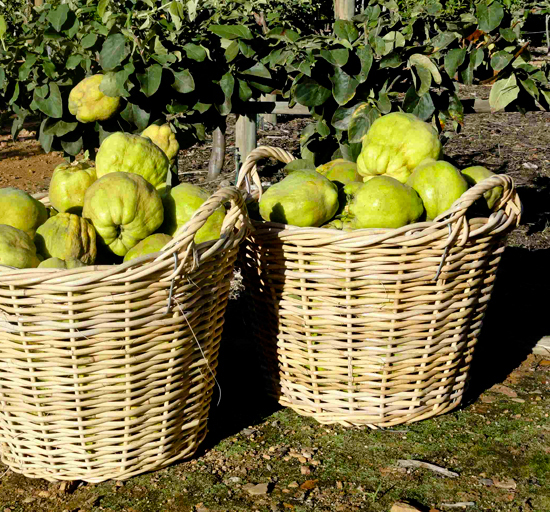 Quince, the ancient fruit from northern Persia, is coming back into favour as people rediscover its unique, delicious taste and fragrance. 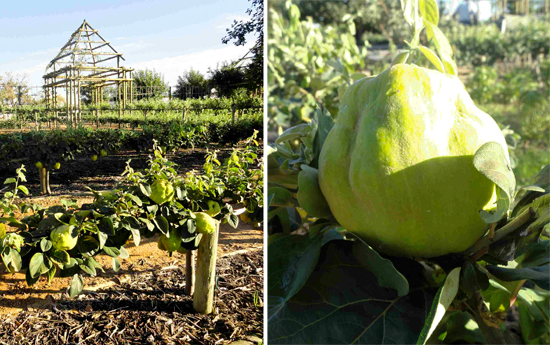 At Babylonstoren, the quince (or kweperboom) happens to be one of our favourite fruit trees to train into interesting forms. 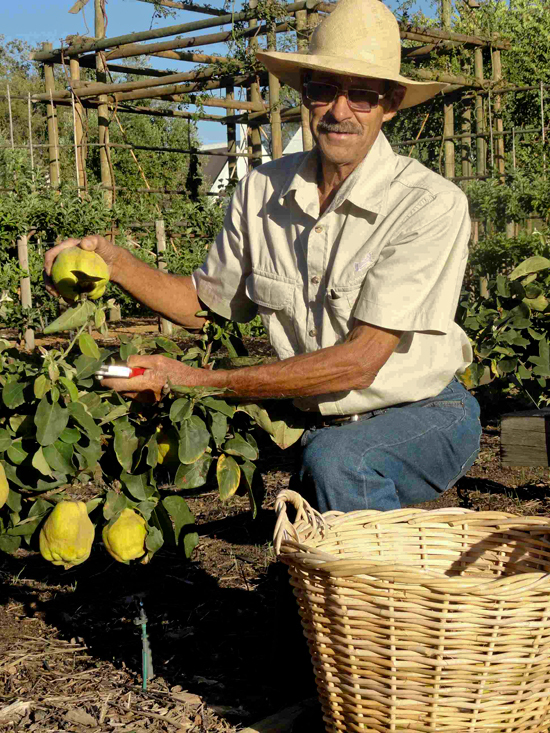 After three years of regular and careful pruning for shape and fruit formation, Anton Roux has picked the first quinces. These fruits are from trees we have trained as low cordons – or step-overs – which edge some of the vegetable beds. The fruits of this “Portugal” variety are voluptuously large, as we only kept a few fruits on each tree to mature. Goeie dag Callie, ek stel voor dat jy ‘n epos aan liesl@babylonstoren.com stuur. Sy is ons hoof tuinier en sal jou kan help.